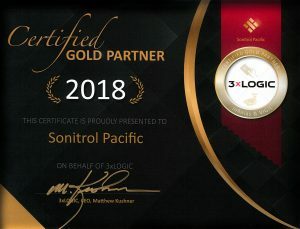 Blog Sonitrol Pacific Awarded 3xLogic Certified Gold Partner! Seattle, WA – February 16, 2017 Sonitrol Pacific has been named a certified Gold Partner of 3xLogic. 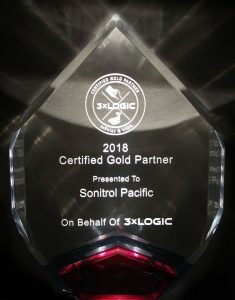 Sonitrol Pacific and 3xLogic has had a long-standing, award winning partnership- providing the latest in video surveillance security. Sonitrol Pacific works provide their customers with the latest in Verified technology, ultimately stopping crimes in progress. 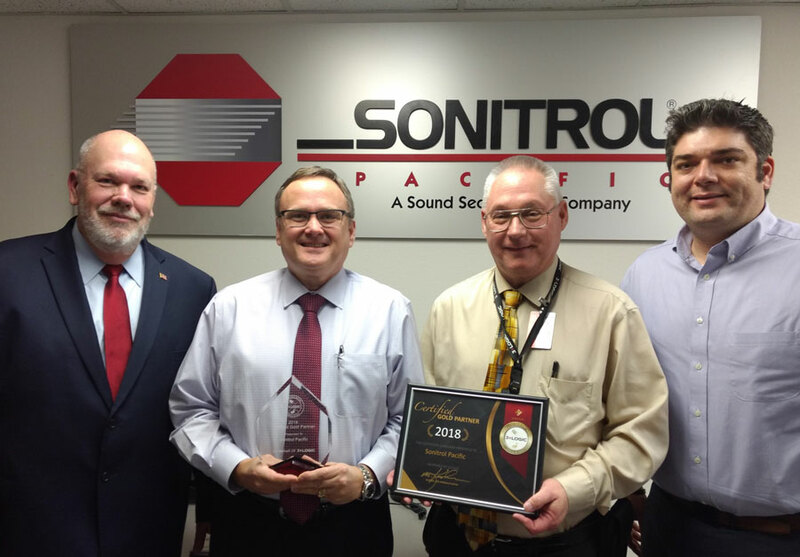 Thank you to Senior Director of Sales Bill Hobbs and Regional Sales Manager Josh Lilley for presenting Sonitrol Pacific with this great award! Announced January 4, 2018, 3xLogic has updated their new Certified Partner Program (CPP). It is comprised of five tiers: Tier 1-Authorized 3xLOGIC product retailers; Tier 2-Silver Partners; Tier 3-Gold Partners; Tier 4-Distributors; and Tier 5-National Accounts. There are different levels of features and benefits for each tier in categories. 3xLOGIC retailers are reviewed and those who meet the CPP criteria are invited to participate in the program. Any new dealer who meets the criteria and are vetted to be considered for inclusion in the program. Sonitrol Pacific has been providing the Pacific Northwest with VERIFIED security for nearly 40 years. We offer customized business, commercial, and residential security systems using the latest technology. Our services include managed access control, intrusion detection, video surveillance, and fire detection all backed by our worry-free Commitment to Service!